A couple of weeks ago at the end of October, we went to VegfestUK, a vegan festival which is held annually in London at the Olympia. 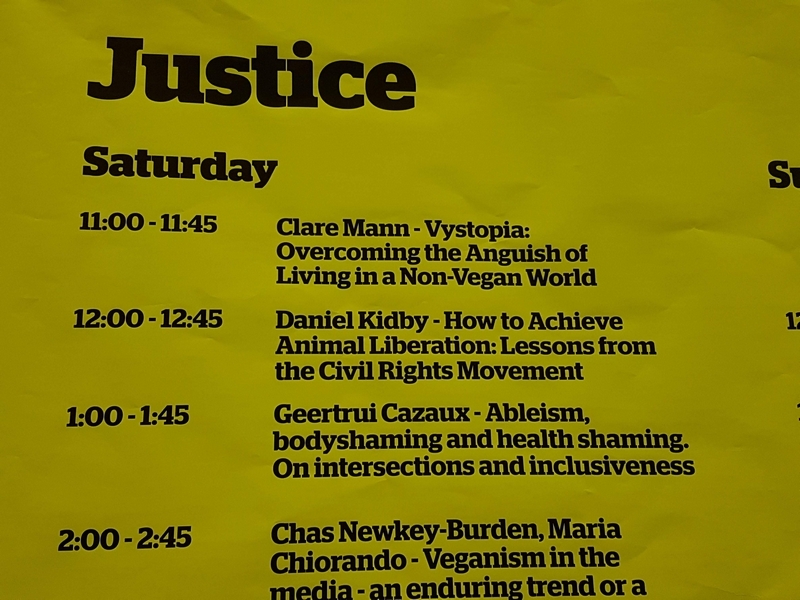 We had already visited VegfestUK in 2016, and were really impressed by its scale and the intersectionality conference which was held then. The festival not only houses nearly 300 stalls (food, body and care products, organisations, etc) but there are also dozens of presentations, on a wide range of topics: from health to veganic gardening, from radical veganism to bodybuilding, or environmental aspects to animal rights. Really interesting! We ate a lot, we bought some products that were new for us, and we listened to a lot of inspiring talks! And meeting up with friends and getting to know new people! I also gave a presentation, in the Justice room: Ableism, bodyshaming and health shaming. On intersections and inclusiveness. (Geertrui Cazaux). 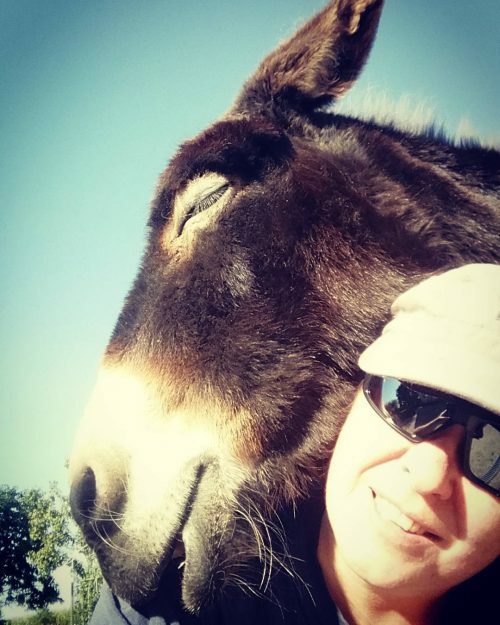 I Previously posted an introduction to that talk here . It took me a while to get the video from my presentation edited (still learning my way in the video editing program! ), but here it is!